Rahu Puja is to appease the planet Rahu. It is very useful & beneficial puja, since it's worship strengthens benefic Rahu & increases its positive influence and pacifies malefic effects of the planet & neutralizes its negative effect. It is recommended for those having malefic Rahu or wrongly placed Rahu as per horoscope. 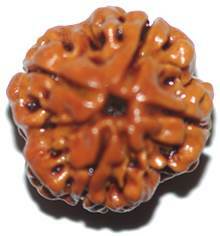 It is done to propitiated against its evil influences, to ward off all evils of Rahu as per the horoscope. It or the Dragon's Head Worship is dedicated to planet Rahu. 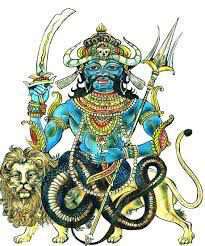 Rahu is described as half-bodied, born of a lioness, snakelike, having a huge body and being extraordinarily powerful. It is also called shadow planet because of the Node's association with the phenomena of eclipses. It is performed to appease the planet Rahu. Rahu puja can be done for people who suffer from sudden illness, loss of money and delay in marriage. It is associated with the spiritual process of involution, or the engrossing of spirit in materialization. It is an indicator of worldly desire, fame, greed, high intelligence, manipulation, obsessive behavior, foreigners, mass disease, dementia and inertia. 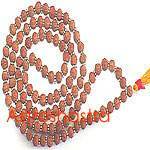 It is performed by perfroming praises prayers and chanting mantras of planet Rahu.